According to a new administrative rule by Zhejiang province, Yiwu government is authorized to approve all foreign investment (under 50,000,000USD) in Yiwu. This means it will be much easier for foreign investors to invest in Yiwu, either by start up a joint venture, or 100% foreign-owned enterprise. We also see this increase from foreign investment in Yiwu since June, 2011. 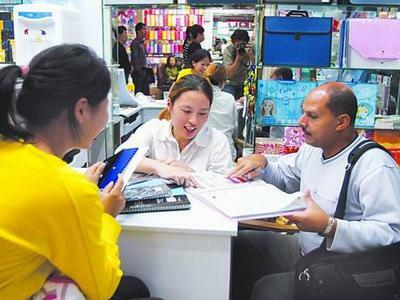 "Since June this year, formally accepted subject to approval of foreign-invested commercial enterprises , foreign Yiwu trading companies amount passed 30, averagely added nearly 8 per months. Among these trading companies, only one joint venture, the remaining 29 are all 100% foreign-owned trading companies"
"Total investment passed $ 3,100,000. Investors are from Canada, Iran, Israel, Brazil, Korea, Bulgaria, Japan and China's Hong Kong, Taiwan and other 14 countries and regions. These trading companies are involved in: consumer goods, shoes, furniture, jewelry, handicrafts, toys, stationery and so on...The estimated number of these companies can reach 50 by end of this year"
A civil service offer from Yiwu Foreign Trade&Investment bureau said. *More about background: Yiwu Became the 10th. Special Economic Zone in China. Early March 2011, State Council officially approved, "International Trade City, Yiwu, Zhejiang Province, a comprehensive reform of the overall program," which states that national authorities must follow the division of responsibilities, to actively support the reform of Yiwu City to carry out the relevant special test before the reform and opening up a number of major measures. In particular, to be introduced with the reform of international trade-related matters, to give priority on the first test, Yiwu City. This means changing the way international trade development, Yiwu has the right pilot. As a county-level city of Yiwu, municipalities and districts will have a whole set of economic and social management authority. >> Return to Yiwu China from Having A Company In Yiwu Is Becoming Easier.